Accidents happen. If a fall, slip, or sports injury has left you seeking bone fracture treatment, you can turn to STAT MED Urgent Care for the prompt medical attention you need and deserve. Our physician-led network of fully equipped immediate care centers cater to patients from Walnut Creek, Livermore, Moraga, Orinda, Concord, Lafayette, Pleasant Hill, and other nearby communities in California. Stop in when you need us – we are open Monday through Friday from 8 a.m. to 8 p.m., and on the weekends and holidays from 8 a.m. to 8 p.m. We also offer a simple online check-in system to help expedite your visit with us. Bone fracture treatment will vary considerably depending on the location of the fracture and its severity. In general, though, most cases involve immobilizing the area with a cast or brace to restore the original position of the bone. At STAT MED Urgent Care, our centers throughout the East Bay area of San Francisco are equipped with digital X-Ray machines to provide prompt diagnostics for patients with broken bones. From there, our emergency medicine-trained physicians and medical practitioners will determine an optimal course of treatment and even provide follow-up care as you recover. If you suspect you may have broken a bone, we encourage you to visit STAT MED Urgent Care for efficient diagnostics and fracture treatment, if necessary. 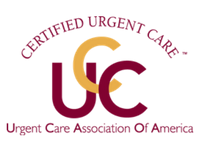 Our urgent care center is a more affordable and practical alternative to the emergency room for non-life-threatening conditions. We accept most major health insurance plans, including Medicare, and provide a low flat rate to patients who subscribe to non-contracted HMOs.